We offer volume pricing, email sales@intelastores.com for a quote. • Heavy Duty 1-3/8 in. / 3,5 cm diameter all steel white 6-leg frame. • Dupont™ thermoset powder-coated finish applied after a proprietary 13 step surface preparation process prevents chipping, peeling, rust and corrosion. • Quick and easy set-up with built-in slip together swedged tubing. • Wide foot plates on every leg ensure easy access to secure anchor points. 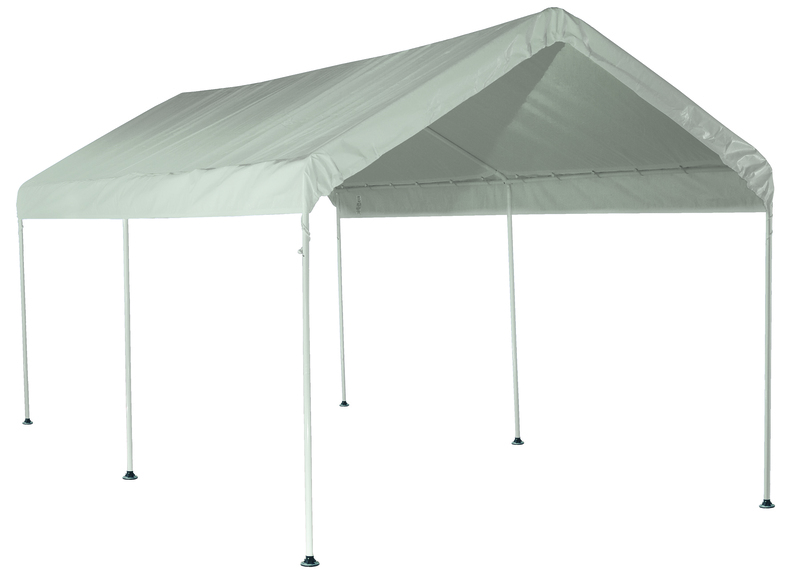 • Fitted, fully valanced white polyethylene cover made with rip stop fabric. • Cover is 100% waterproof, triple layer UV treated with added fade blockers, anti-aging and anti-fungal agents. • Patented Twist Tite™ tensioning squares up frames and tightens down cover for a clean and finished look. This item can not be shipped to an APO/FPO address.